People are taking this National Pizza Day seriously, ok? Not that I’m complaining. I know pizza is probably more people’s favorite food than most other foods. What I didn’t know is that so many people would be on board to celebrate a pizza holiday. 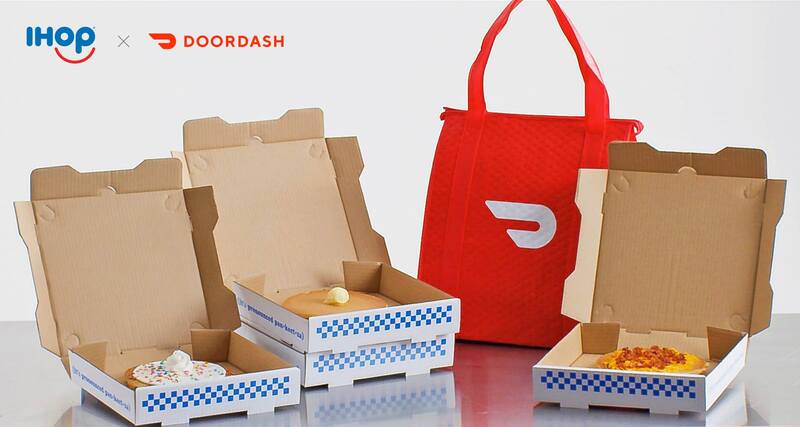 IHOP and DoorDash are doing their part in the celebration by offering more than one flavor of Pancizzas this weekend! Now before any of you assume, no it’s not pancake pizza. They are, for the most part, regular pancakes. Regular 7″ big pancakes. Yup, that’s right. They may not be pancakes flavored like pizzas but they are close in size. And when you order through DoorDash the Pancizza comes in its own IHOP-themed pizza box. Those in Chicago. Dallas, Los Angeles, and New York will be able to order the Pancizza via DoorDash from February 8-10th. You could get the regular, cheese and bacon, or cupcake flavor. Will you be willing to try the Pancizza?